Following this week’s announcement by Interior Secretary Ryan Zinke of a draft plan to open up 90% of U.S. waters to offshore oil and gas drilling, Moore said he would frack off the coast of Trump’s Mar-a-Lago estate in Palm Beach, FL, starting after Labor Day—just in time for his new TV show Live from the Apocalypse to hit the airwaves on TNT. “And any spills - we’re going to let the ppl of Florida keep whatever they collect 4 free!” he added. In addition to local residents, someone else who probably wouldn’t be happy with Moore’s threat is FL Governor Rick Scott, despite that he’s a Trump supporter and climate change denier whose administration once banned the use of the terms “climate change,” “global warming,” and “sustainability” at Florida’s Department of Environmental Protection. What Scott could possibly be concerned about is a mystery, considering the GOP loves to argue that the Trump administration is simply removing burdensome Obama–era regulations that hamper economic growth, job creation, and energy independence. This is the same Republican senator who voted in favor of the GOP tax overhaul, which along with giving massive tax breaks to corporations and the extremely wealthy, also opened Alaska’s Arctic National Wildlife Refuge to oil and gas drilling. 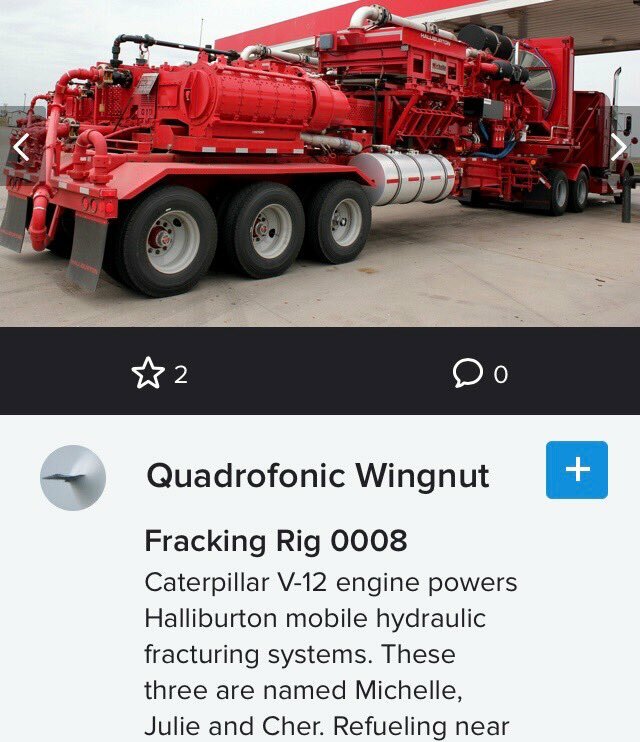 Maybe Moore’s fracking rig could head to Maine next. I love Michael Moore; he's a true American. This is a liberal. Reality and that nasty thing called facts aren't allowed to get in the way. wind isn't the only alternative energy.